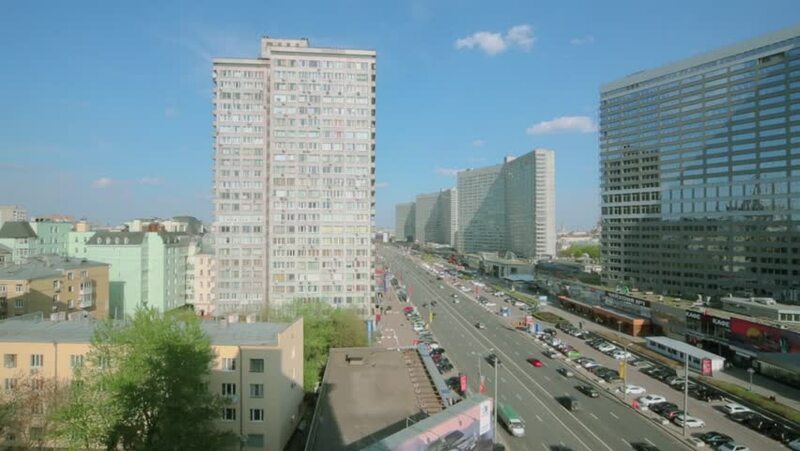 MOSCOW, RUSSIA - MAY 10: City traffic on New Arbat street at sunny day. Street was built in 1963.
hd00:49Tall commercial buildings in pull back shot of downtown Aerial view in pull back of Moshe Aviv tower in haborsa or borsa Ramat gan Israel Amazing aerial shot! 4k00:14BANGALORE, INDIA - 19 NOVEMBER 2014: Contrast in this video shows modern buildings used by several IT related companies, and an old slum quarter, in Bangalore.